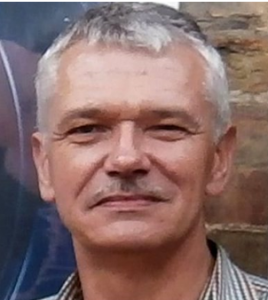 As a marine scientist trained in the UK and Australia in pollution investigations, environmental risk management and maritime biosecurity management, Rob has been professionally involved in the assessment and prevention of ballast- and fouling-mediated introductions of harmful invasive marine species (IMS) since 1989. Presently he is the managing principal of Intermarine Consulting Pty Ltd (Imco), an Australian-based independent consultancy he established in 2007 for providing specialist, risk-based environmental management services to ports, shipping operators, offshore O&G and coastal industries. Over the past decade he has undertaken ballast water risk assessment, treatment and alternative management option studies for a wide range of clients (fleet managers, maritime manufacturers, port authorities, government regulators, international agencies & NGOs), including workshops and policy development studies for slowing the global spread of aquatic nuisance species and marine pests. His work has included significant contributions to several Globallast, IMO, WWF, GISP and RAN supported capacity-building projects and technical reviews, including evaluating treatment technologies and alternative BW management options that can best cater to the differing ballasting profiles of trading ships, shortsea/river-sea ships, OSVs, dredges, pipelayers, construction barges and other non-trading work vessels, including patrol vessels and military ships. Currently much of Rob’s work is focussed on improving hull fouling management for both fuel efficiency and biosecurity requirements – including better assessment procedures, cleaning equipment and treatment standards for in-water and dry-dock hull cleaning, coating management and MGPS installations, all of which are required for reducing the spread of marine fouling pests as well as hull drag, fuel consumption, GHG emissions and heat exchanger blockages. As vice-chair of NACE International’s Technical Group 475, he is presently helping develop a pictorial-based standard for improving transparency and consistency in measuring the different types, locations and amount of fouling biota during in-water and docking inspections (a key step towards the eventual application of instruments and pattern recognition software for measuring hull fouling coverage, composition and roughness quickly and objectively). Rob is also a senior technical advisor to a Singapore-based JV which is trialling and testing new coating-friendly in-water hull cleaning machines that retain all material removed from ships’ hulls, including the biocide-laced fragments of copper-based antifouling coatings.